A steel wheel against a metal track. 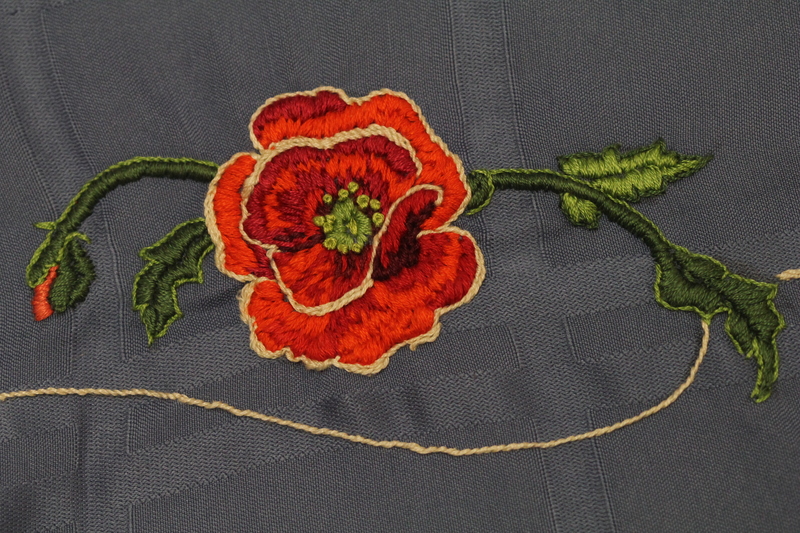 Embroidered poppy–the white border is still in the works. Operating much of the time in the virtual world I forget how luxuriously slow a job done by hand using tangible materials is. 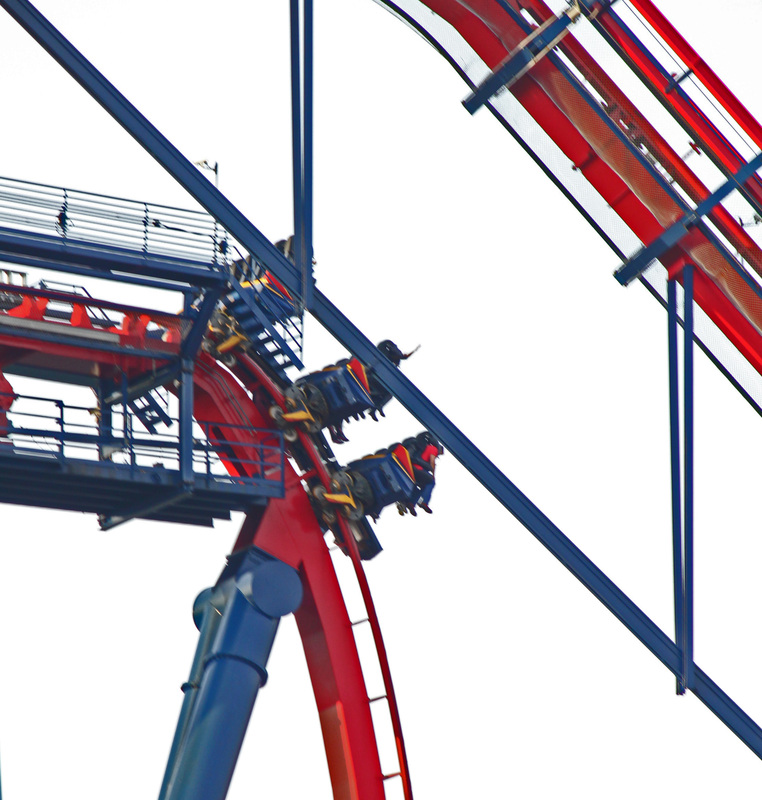 You thread the needle. Tie the knot. Stitch until the thread is short. Knot off, then repeat. There is no shortcut, only time and technique. 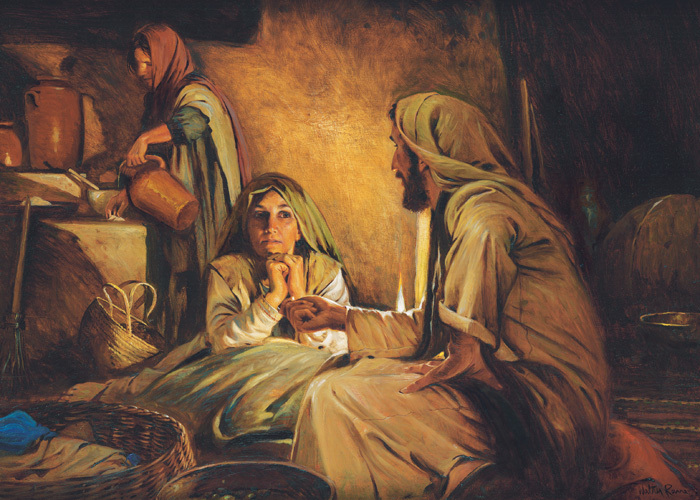 That’s Martha in the background of the painting, doing the drudge work while her slacker-sister, Mary sits at the feet of an exceptional guest. Jesus of Nazareth. Still, he is company, and someone has to cook supper. That someone appears to be Martha, who wouldn’t mind a little help, but when she requests her sister lend a hand she is chastised for having her priorities wrong. This is the take on the story I got from my mother, not the Catholic Church, which came down on the side of the listening sister, not the one doing the work. 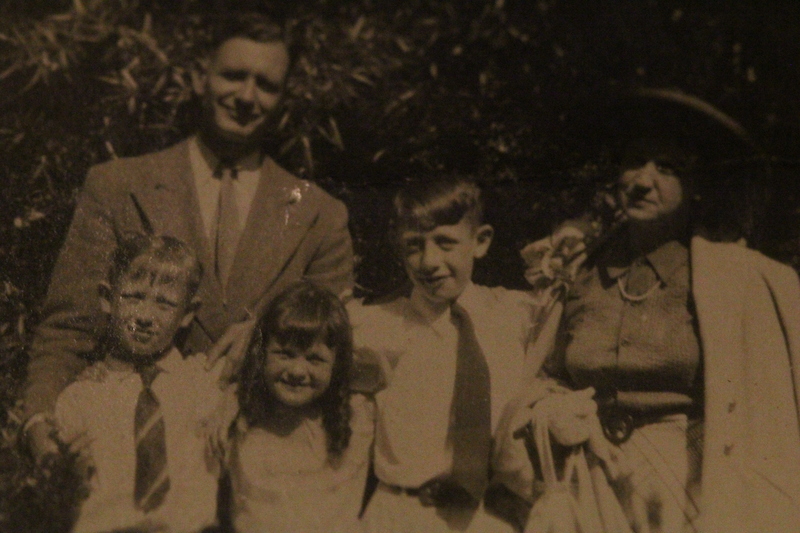 My mother understood that what Martha saw when she looked at Jesus was not a soul aflame, but a gaunt man in need of a meal; my mother sympathized because the role of Martha had been thrust on her as well. You are currently viewing the archives for August, 2015 at Slow Dance Journal Blog.